Colored map markers for worldmap and mini-map. Adjusted two previously missed icons. Cleared markers now stroked with 0.2mm gray line so they become more noticeable. 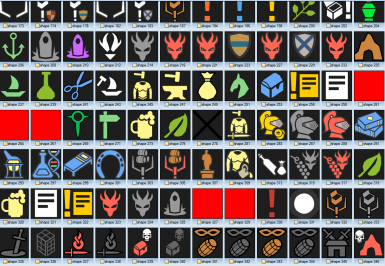 Added missed Grandmaster Smith icon (Shops / Crafting). Added missed The Ducal Camerlengo icon (unique color). Added missed Geralt's house icon (unique color). Fixed missed Vintner’s Contract icon variation. Plegmund icon moved to Surroundings POI category. 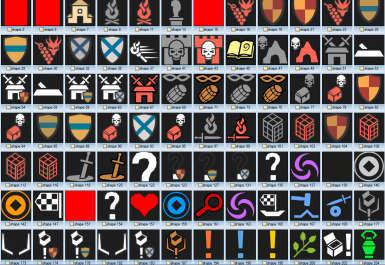 Blood and Wine icons added. Replaces worldmap and mini-map markers with some colored variations. Compatible with the latest patch 1.30. Download and extract archive into "...\The Witcher 3\Mods\" folder (if you do not have Mods folder - create it manually). Supports installation with NMM. If you have All Quest Objectives On Map installed (STANDARD of FULL) you must use the compatible version. If you have LITE version, use the main version of this mod. Don't use both versions of the Colored Markers mod at the same time, don't use the compatible version with AQO LITE (it will break the Fast Travel system).